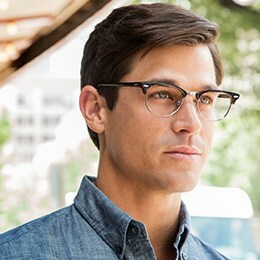 We at FramesDirect.com are aware that time is a valuable asset, so we are pleased to roll out our new Express Checkout option for your eyewear purchase convenience. Now, when you head for the checkout, you will see the Express Checkout option at the top of the list. With Express Checkout, you save time and less personal information is required, just basic payment and shipping info, ideal for non-prescription purchases of optical wear like sunglasses, goggles or frames, yet still safe and secure. 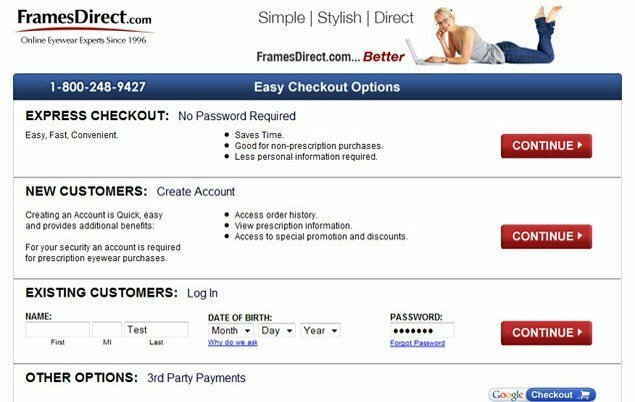 You still have the option of logging into your personal account, creating a new account (your account includes prescription information and order history) or paying through Google Checkout.